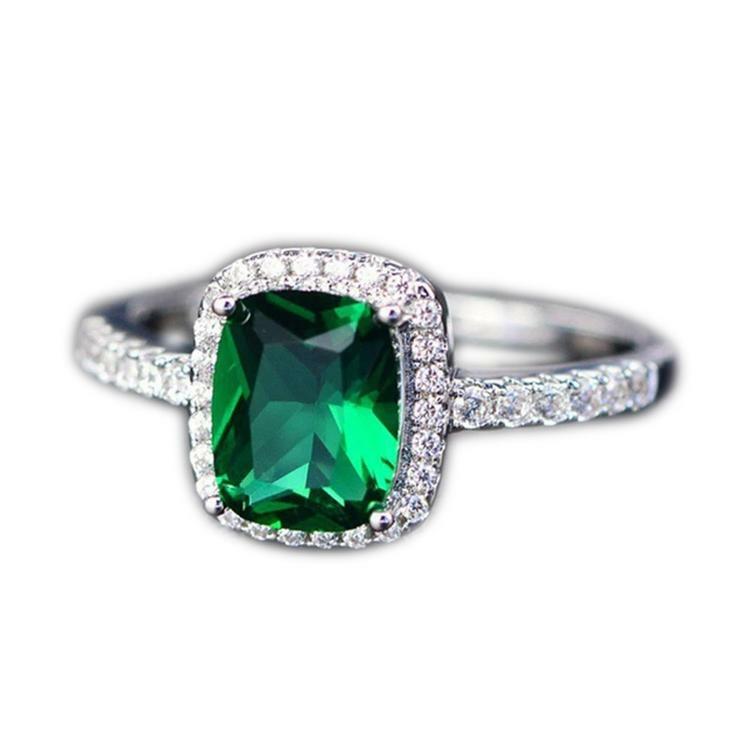 Our Silver Emerald Birthstone Ring has an elegant high grade lab-created Emerald stone that sits gorgeously in a halo of sparkling white Cubic Zirconia. The ring is polished to a bright shine and is set in a sterling-filled ring. Delicate and charming, this ring will easily match to any outfit. Buy one for yourself or for that special Emerald baby in your life!